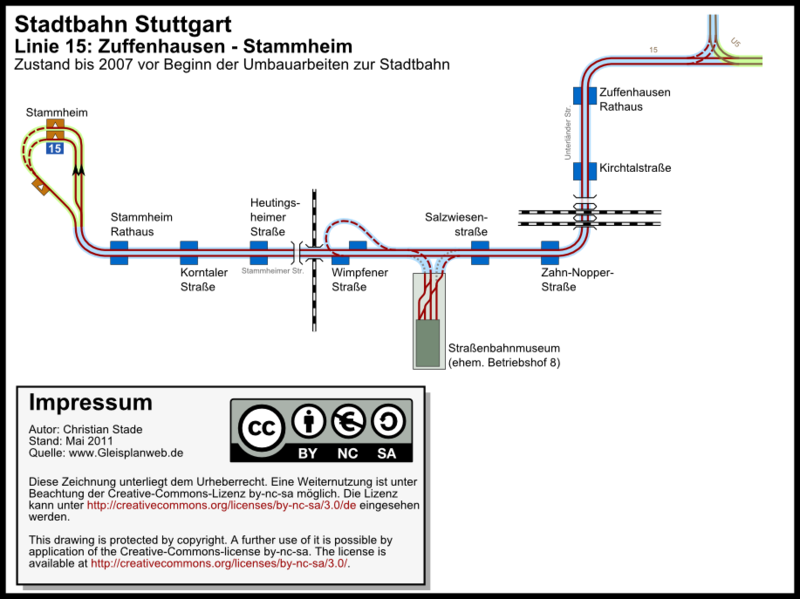 Complete track network of the SSB in Stuttgart and surounding. 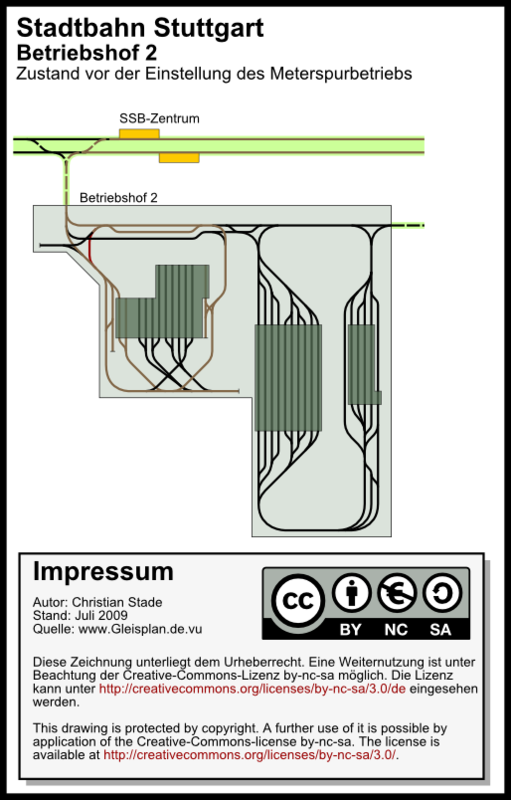 Situation before the end of the metre gauge tramway. Situation before the beginning of the reconstruction in 2007. 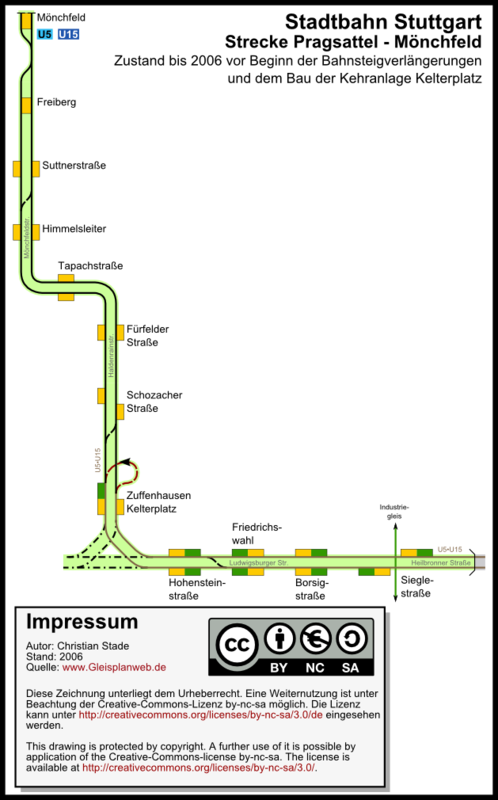 Situation before the beginning of the reconstruction 2008. From the tramway to the lightrail. Current constructions updated. New tracks were build at the Möhringen depot. 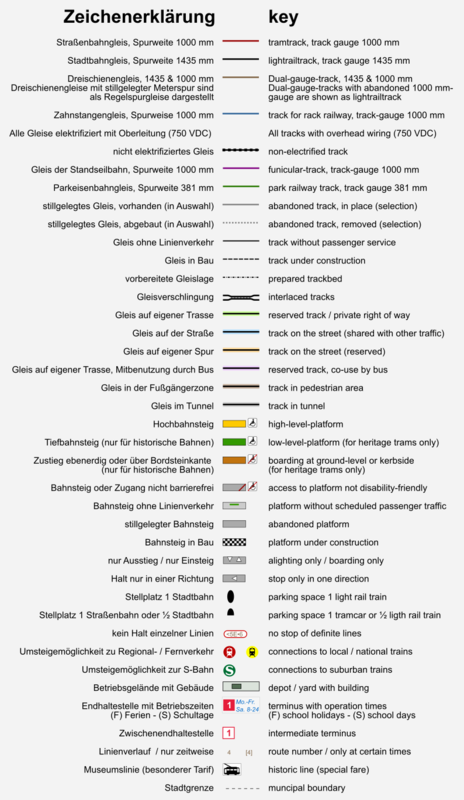 New line via Budapester Platz opened. Several line changes. New Tunnel at Stadtbibliothek in use. Änderungen zum Fahrplanwechsel. Danke für die Hinweise. geplante Neubaustrecke zum Flughafen ergänzt. On Sundays Oldtimer-Lines 21 +23 running on approx.14 km „old“ 1000mm-gauge. On the website of the VVS.